Discover job outlooks for these careers that require a master's degree. Whether you’ve just completed your Master’s degree and are now entering the competitive job market or you’re still in undergrad considering a Master’s program to enter, the question you face is the same: Which field has the best job outlook? There are a number of fields that are doing well even post-recession, that you might not necessarily think of at first. If you have a versatile Masters Degree, or are looking into getting an advanced degree in a specific field, take a look at these areas. Nursing. One industry that will continue to have demand is nursing. The health care field is never short of available jobs and an advanced degree in nursing will yield a promising career filled with advancement opportunity. Nurse practitioners, Midwives, Nurse Anesthetists and specialists all benefit from the rigors of an advanced education and reap the rewards of a gratifying job that pays well. If you want more information on what it takes to become a nurse, or what information is out there in your specific state, check out the Nursing Licensing Map.com. Social Work. As the population grows, so do the needs of individuals who are less advantaged. Social work is traditionally thought of as low paying field not worth the investment of an advanced degree. That couldn’t be more wrong at the moment with the increasing amount of loan forgiveness opportunities, as well as actual monetary increases with the degree. The demand for social workers who can address the needs of these populated communities is increasing. Thus, going forward social workers with masters degrees will find more numerous opportunities for job placement and advancement, with median incomes starting close to $50K a year. Teaching. Post-secondary teaching jobs currently have the highest number of job openings with a 38% increase in growth until the year 2018. With median incomes around $50K, a masters degree will help you to capitalize on these growing opportunities, along with their benefits and education-related salary bonuses. Business Administration. No one doubts the value of an MBA. In the market, it’s essential to stand out among your peers and to remain competitive by advancing your professional education. Whether you specialize in finance, marketing or even IT, you will reap the benefits of a rapidly growing and evolving sphere, with salaries reaching upwards of $100K per year. Medical Scientists. Research diseases, genetics and various ways to improve human health either in a hospital or research laboratory. Work in mental health and take advantage of an increased job growth of 40%. A PhD is required, but you’ll easily earn $72K or more to start and have the satisfaction of aiding humanity through your work. Physician Assistants. With job growth reaching 38% by 2018, physician assistants will see plenty of employment opportunities and can expect to earn a median income of $80K a year while providing primary medical care, including diagnostic and preventive care, and therapeutic services, all under a doctor’s supervision. You can also increase opportunities for advancement and earning potential by continuing your education and specializing in any number of fields, like pediatrics, oncology, cardiology and many others. Veterinarians. People love their pets and will stop at nothing to ensure their health and well being. 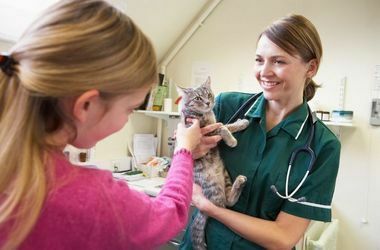 Thus the need for veterinarians, who will see a 38% growth in jobs over the next seven years. With a salary of at least $72K, veterinarians can obviously work hands-on with pets and animals, but also behind the scenes doing research. Either way, an advanced degree in veterinary science will take you far in a rewarding career. Environmental Scientists and Specialists. Conduct research to help eliminate and / or reduce environmental hazards for the benefit of the planet and all its inhabitants. Few enter this field with only a Bachelor’s degree, but those with a Master’s will see rapid growth in employment opportunities through 2018 and can expect to earn around $60K a year.